In 1988, Dr Nigel St Clair Gainer retired from his medical practice in Thrapston completing his family’s one hundred years of running a GP Practice in Thrapston. Joseph, a wool dyer of Stonehouse, Gloucestershire married Martha Clara Fursdon Emblin in 1851. Seven years later they had a son Joseph William. Martha died in 1867, aged 41 years and Joseph died in 1890, aged 70 years. Joseph’s estate was valued at £41,000, a very large amount in those days. Born late 1858, Joseph William was educated at Moravian schools in England and Germany and later at Edinburgh University, where he took his MBChB in 1886. 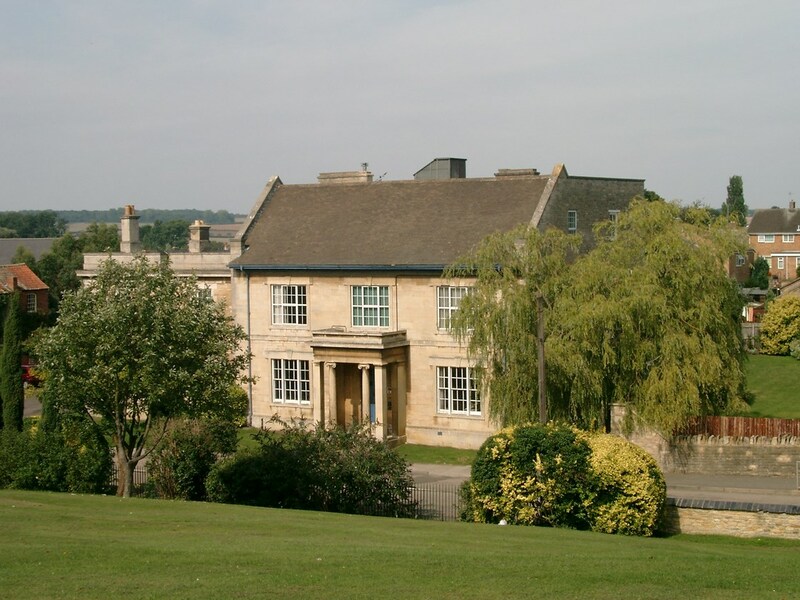 On 1st July 1888, Dr Joseph William Gainer, joined the Thrapston GP Practice of Dr Thomas W Buckley after qualifying at Edinburgh University. 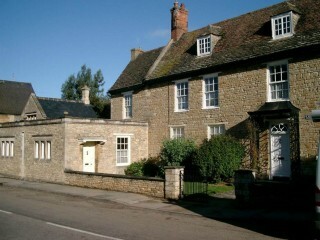 Dr Buckley lived at “The Poplars” on Titchmarch Lane but by 1901 had moved to “Thrapston House”, on Huntingdon Road. Joseph William married Margaret Sinclair of Edinburgh in October1889 and lived at Belmont House, Huntingdon road, Thrapston. 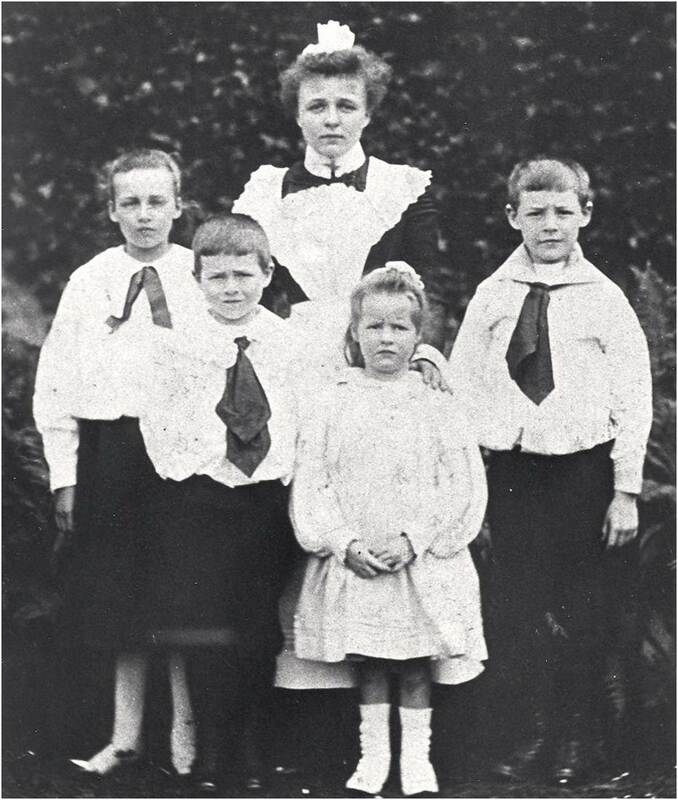 They had two sons, Donald St Clair (1891), Eric St Clair (1893), and two daughters Norah Anne St Clair (1890), Marjorie St Clair (1895). 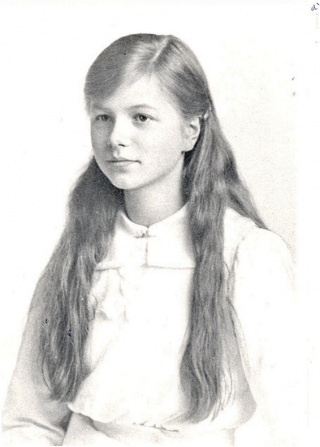 Tragically Margaret died in 1895, soon after the birth of Marjorie, aged only 34 years. Dr Buckley retired in June 1906 and moved to Clopton Manor House. Dr Joseph William Gainer continued with the GP Practice on his own at Belmont House. Joseph William also had many interests in local matters. He served on the bench as JP and, being a great lover of music, was founder member of the Thrapston Glee Society in 1919, and elected President of that society. Dr Joseph William Gainer died in June 1922 aged 63 years. There is a brass memorial plate in the Parish Church which remembers him as a Medical Practitioner in Thrapston for 34 years. Donald served in the consular service and Diplomatic Corps and became Sir Donald St Clair Gainer KGC. Eric, qualified to become Dr Eric St Clair Gainer. 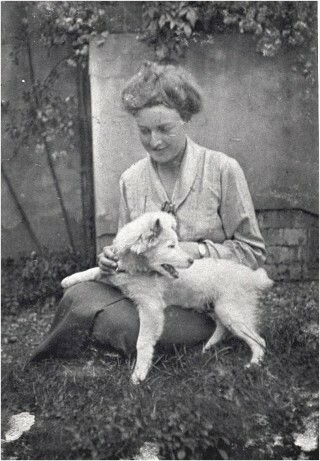 Marjorie married Frederick R W Hunt in 1918. Eric St Clair Gainer was educated at a private school in Islip and, from 1904 to 1911, at Epsom College, Surrey. He joined the Middlesex Hospital in 1911 to start his training in the medical profession, but was interrupted by the outbreak of the war. He joined the Seaforth Highlanders as a private in 1914, and was wounded in the leg. When he had recovered from the injury he was commissioned in 1917 and had the rank of 2nd lieutenant. While on “light duties” getting over the wounds to his leg, he was drafted to a village near Ripon in Yorkshire. When he arrived at the house in which he was to be billeted, he noticed a picture of a group labelled, “Children of Thrapston”. He was soon to discover that the lady of the house had once been in service for the Gainers, and from then on, his packed meals were the envy of his fellow soldiers. He left the army in 1918 and returned to Middlesex Hospital to complete his training and qualified as a doctor in 1921. Eric came to Thrapston by train and, on arrival at the station, was met by horse and carriage complete with coachman (Jack Rowlett). For a moment he thought it was VIP treatment but he was soon to learn that his father was ill and that he was to make his first call as a doctor in Thorpe Waterville. On a later occasion, when Eric was in London, he received a telegram from his father; stating that he had bought a car, and instructing Eric to “drive it home”. Eric went to the man selling the car, who gave him the technical instructions and his first driving lesson. This lesson started with the words, “Any fool can drive a car forwards”. So they drove around London backwards before heading for home in Thrapston. In June 1922 Dr Joseph William Gainer died, having practised in Thrapston for thirty four years. 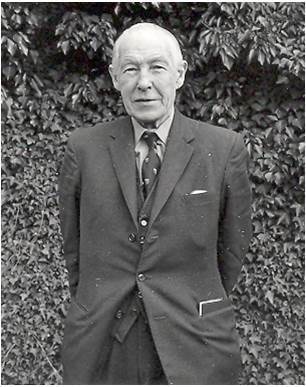 From that date, Dr Eric Gainer took over the GP Practice and, like his father, was to show very great interest in local affairs. Eric served on the Oundle and Thrapston RDC for thirty years. He was President of the British Legion Branch in Thrapston. He was influential in the purchase of the playing fields in Chancery Lane, and was also a founder member of The Thrapston and District Historical Society (TDHS) and of the Thrapston Amateur Dramatic Society (TADS). 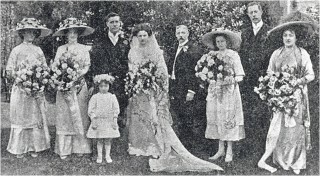 Eric married Dorothy Smith in 1925, whose family had also had a very long association with Thrapston; the name Smith and Grace being very well known. They had a son Nigel, born 1930. As previously, there was another Dr Gainer ready to continue the practice. Nigel Gainer was born in 1930 and educated at Epsom College and London University, where he took his degrees of MB and BS. Like the two previous Dr Gainers, he was interested in local activities and was an active member of TADS. He married Ruth Bird in 1956 who died in July 1995. Dr Nigel St Clair Gainer died in September 2008. The Gainer family tree can be traced to 1707 in Gloucestershire, but it is from 1888 that Thrapston has cause to be grateful to them. This page was added on 07/07/2014.